"All this is Andròn - the quest for the contenders." 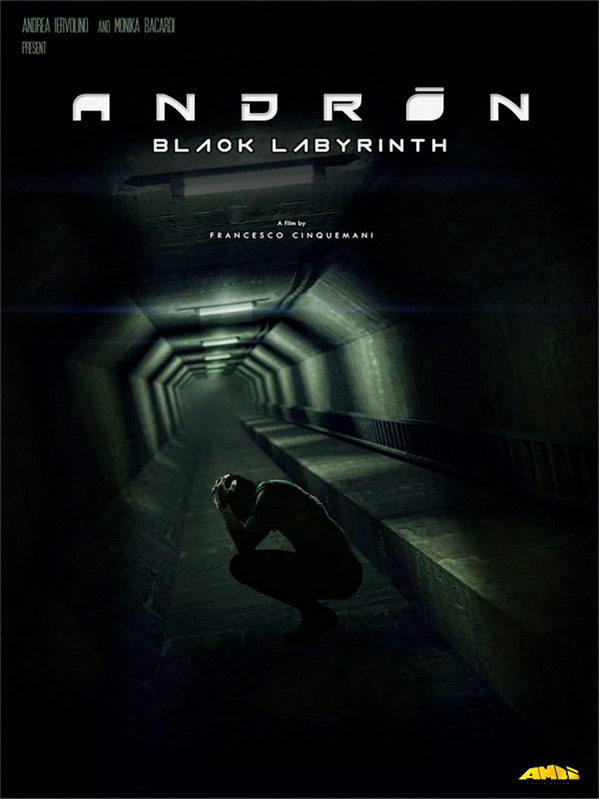 The first trailer has debuted for an interesting sci-fi film called Andròn - The Black Labyrinth, or just Andron. It's about a dark, claustrophobic maze being run by Alec Baldwin, who broadcasts the fights of the various contenders hoping to survive. This seems like some weird mash-up of Cube and The Hunger Games, with a dose of The Maze Runner because of course. The ensemble cast includes Michelle Ryan, Danny Glover, Leo Howard, Gale Harold, Antonia Campbell-Hughes, Gaia Scodellaro and Margareth Madè. There are some cool moments in this (the opening looks great) but I'm not sure if it'll be any good, especially with such a low IMDb rating. Fire it up. A group of people are plunged into a dark, claustrophobic maze, where they must fight to survive, as the outside world watches. Andron, titled in full Andròn - The Black Labyrinth, is both written & directed by Italian filmmaker Francesco Cinquemani (Offstage: Lontano dal palco), who started our in journalism before making the leap to filmmaking. This film first premiered at the Science+Fiction Festival in Trieste, Italy in 2015. We don't know the exact release date for the US opening yet, but Andron is expected to open in theaters sometime in the next few months. Visit the official site for more info. What do you make of this? yo shiboleth, aren't you on Facebook? Searched for you, but nope! "Series 7: The Contenders" meets the "The Maze Runner"? Thats Skin from Skunk Anansie ya? Kool! Movie? not so much. Syfy levels there. Danny Glover sealed it's fate, he's defo Syfy material these days. You can tell how good it will be usually with the typefaces used in the titles and the GUI's for the tech. It's a late night winter watch in 4 years time for sure. Seriously how many of these post apocalyptic YA survival movies are they going to make? They're even more formulaic and predictable than the Marvel movies. It would be really interesting if someone could write a story where it's set in a future that didn't totally go to hell. dystopias are still the in thing. it's so tiresome. Too bad no one in the movie is under 25 . . . The effects are badass, but the film itself looks fairly by-the-numbers.